Libby, by Overdrive, is the newest and best way to get downloadable eBooks and audiobooks. Libby is a streamlined app that enhances the user’s experience immensely. Try it today- all your loans and requests will carry over from Overdrive. Here’s a great video on how to get started with Libby! Libby is currently not available for Kindle Fire, but you can easily send books to your Kindle inside the app. If you’re at home, have your library card ready and follow the prompts to set up an account. 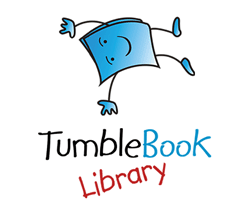 TumbleBook Library is an amazing resource for children, families and teachers. Access more than 500 talking picture books, read-alongs, and videos.